Sola Adepetun was appointed to the Board of Directors of Standard Chartered Bank Nigeria Limited in April 2014 as an Independent Non-Executive Director and became the Chairman of the Board in September 2018. A legal practitioner with over 36 years’ experience, Sola is a named partner in the prestigious law firm of ACAS-Law (Adepetun, Caxton-Martins, Agbor & Segun). He is one of Nigeria’s leading energy and project finance lawyers having worked extensively in advising and representing multinational clients in a broad range of transactions. He is a member of both the Section on Energy & Natural Resources Law of the International Bar Association and the Section on Business Law (Energy, Natural Resources and Environment Committee) of the Nigerian Bar Association. Sola was a member of the Oil & Gas Sector Reform Implementation Committee (“OGIC”) of the National Council of Privatisation responsible for producing the first draft of the Petroleum Industry Bill which aimed to provide a legal framework for restructuring the petroleum industry in Nigeria. He sits on the Board of Governors of the Petroleum Club Lagos as well as on the Governing Council of the Bank Directors Association of Nigeria. He is also a non-executive board member of The Foreshore School. Sola is a law graduate from the University of Lagos and has an LL.M from the London School of Economics and Political Science. Bola Adesola was appointed Chief Executive Officer of Standard Chartered Bank Nigeria Ltd in 2011. 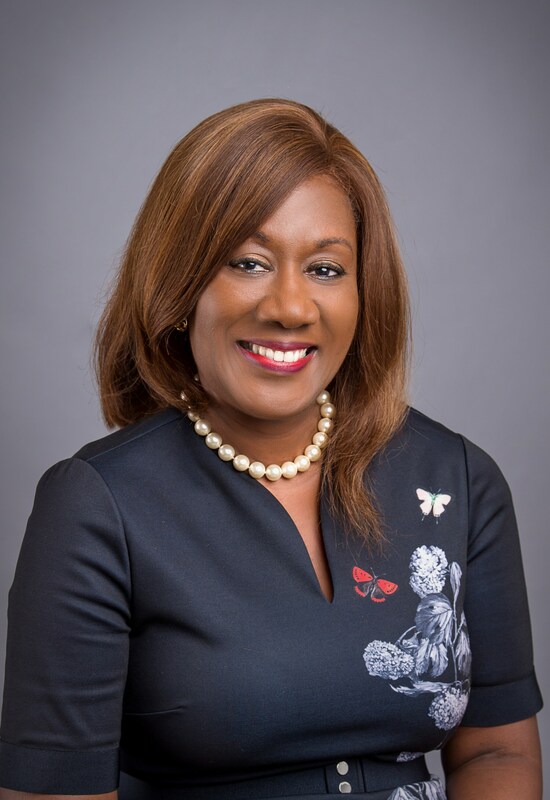 She also provides leadership for the Bank's business across West Africa to drive the continued strengthening of Standard Chartered Bank’s franchise in the region. Prior to joining the bank, Bola was Executive Director, Corporate Banking in First Bank of Nigeria Plc, Nigeria’s biggest bank, and she also had oversight of the retail and commercial banking business in Lagos. Previously, she was CEO of Kakawa Discount House, Nigeria, a securities trading company where she drove record business performance. She also worked in Citibank for nine years in senior leadership roles in Nigeria and Tanzania. Called to the Nigerian Bar in 1985, Bola has over 29 years of banking experience. An alumnus of Harvard Business School and Lagos Business School, she also holds a Law degree from the University of Buckingham, UK. She is an Honorary Fellow of the Chartered Institute of Bankers Nigeria and sits on the Board of the Financial Markets Dealers Quotations Company. She chairs the Central Bank of Nigeria Bankers’ Sub-Committee on Economic Development, Sustainability and Gender. In addition, Bola sits on the board of the Nigerian Interbank Settlement Systems Plc, and the boards of Standard Chartered in Ghana and Cote D’Ivoire. In Standard Chartered, Bola is a member of the Global Diversity and Inclusion Council, and is actively involved with women’s networks across the bank. She serves as the President of the Lagos Business School Alumni Association. She was appointed to the Board of the United Nations Global Compact in 2015 and appointed as the Co Vice-Chair of the Board in 2018. Bola is passionate about the development and economic empowerment of women and in 2001 co-founded Women in Business and Management (WIMBIZ) Nigeria’s fore-most women-oriented network where she remains a member of the Board of Trustees. She actively mentors and coaches young people and is an avid reader and traveller. Mr. Bukar is currently an Independent Non-Executive Director of Standard Chartered Bank Nigeria Limited. In his capacity as Managing Director/CEO of ValuCard Nigeria (now Unified Payments Limited), he promoted the deployment and adoption of Visa products in Nigeria. Prior to this period, he served as Executive Director, E-Banking, Information Technology and Operations in FSB International Bank Plc (now Fidelity Bank Plc). He has also held several roles such as Manager, Technical Marketing, Senior IT Consultant, Marketing Program Manager etc within the Hewlett-Packard Group in the USA. Until recently, Mr. Bukar was the Managing Director/CEO of Central Securities Clearing System Plc, Lagos, where he has been credited with the transformation of the company to an efficient and resourceful organization. He is currently the Chairman of the Nigeria Economic Summit Group (NESG). Mrs. Opunimi Akinkugbe is currently an Independent Non-Executive Director of Standard Chartered Bank Nigeria Limited. Mrs. Akinkugbe is a highly experienced banker with a career spanning 23 years in reputable organisations, including Stanbic IBTC Bank Plc, as General Manager and Head, Private Banking; and Barclays Bank Plc, as Regional Director (West Africa) for the Wealth and Investment Division and Chief Country Officer for Nigeria. She is currently the Founder and CEO of Bestman Games Limited, the African distributor of customised editions of Monopoly. She is also a director at The Play Pen, House of Tara International, Financial Derivatives Company and Letshego Microfinance Bank. She is a member of the Board of Trustees of the Ajumogobia Science Foundation, a member of the Artistes Committee of Musical Society of Nigeria (MUSON), a member of the Selection Committee of the Tony Elemelu Entrepreneurship Program and a member of Lagos State Economic Advisory Committee. She is a graduate from the London School of Economics and Political Science and has an Executive Masters from IESE, University of Navarra. Mrs. Akinkugbe is a keen gardener, loves boating, writing and playing the piano. Louise Vogler is currently the Regional Chief Credit Officer AME & Global FI Risk for Standard Chartered Bank. She is responsible for the credit risk management of the Corporate, Institutional and Commercial client portfolios in the Africa region. Louise joined SCB China in 1999 and has held a number of senior roles in both Risk and Business functions in Greater China. Such roles include Regional Credit Officer, Greater China; Country Credit Officer, China & Taiwan; Unit Head, Local Corporates Hong Kong; Head of Transaction Banking China; General Manager, Shanghai Branch; Head of Global Corporate Clients, China; and Head of Sales and Credit Services, China. Until her appointment in Africa in July 2015, Louise was also the China Country Ambassador for LWHIV. Louise graduated from the University of Victoria, Canada, with degrees in Chinese Studies and International Business. She holds an Executive Masters of Business Administration from China Europe International Business School (CEIBS). Louise is a fluent Mandarin speaker. In March 2008, Louise received the Asian Banker’s recognition as one of the “100 Most Promising Young Bankers in the Asia Pacific and Gulf region.” Louise currently sits as Non-Executive Director on the Boards of Standard Chartered Bank (Zambia) and Standard Chartered Bank Nigeria Limited. Mr. Etemesi is currently a Non-Executive Director of Standard Chartered Bank Nigeria Limited, and also serves within the Standard Chartered Bank Group as Vice Chairman, Africa. He has about 24 years banking experience with the Group in various capacities. He was CEO, South and Southern Africa; CEO, Kenya and East Africa; and CEO, Uganda. He also served as Chief Finance Officer and Director of Strategy in East Africa and held several other roles within the Group in Zambia, Kenya, UK, and Singapore - dealing mainly with the establishment and development of corporate banking relationships. He has been responsible for the growth and development of the Bank’s business in all the regions where he has served as CEO, and has discharged himself creditably in the respective capacities. Specifically, he has effectively coordinated the delivery of strategic and operating plans, and has further superintended the governance of the Group’s activities in these regions. Mr. Etemesi has also served as Financial Management Consultant with Coopers & Lybrand Associates, Kenya. He holds degrees in Finance and Accounting from the University of Strathclyde, Glasgow, UK and University of Nairobi, Kenya respectively. Emmanuel (Manu) De Groote joined the Board of Standard Chartered Bank Nigeria Limited in December 2017. He is currently the Regional Head of Compliance, with responsibility for Country, Business as well as the Financial Crime Compliance teams within the Africa & Middle East region. He is also a member of the Africa & Middle East Regional Management Team and the Region’s Compliance Management team. Manu joined the Standard Chartered Bank Group in 2011 as Head of Regional Initiatives for Legal and Compliance, MEPA and South Asia. In this role, He was actively involved in a wide range of legal and compliance issues across the Middle East, Pakistan, Africa and South Asia. Prior to his current role, Manu was the Regional Head of Legal and Compliance for Africa. He is currently tasked with leading the Standard Chartered Group Compliance agenda in the Africa & Middle East region. Prior to joining the SCB Group, Manu worked for more than 10 years at Euroclear, the clearing and settlement bank in Brussels, as Chief Compliance Officer, and Group Head of Legal respectively. He is married with two children and lives in Dubai. Leke assumed the role of Head, Banking in December 2016. Prior to this, he was the CEO of Standard Chartered Capital & Advisory Nigeria Limited, the Investment banking subsidiary of the Standard Chartered Bank Group in Nigeria. He was also the Head of Corporate Finance, West Africa for Standard Chartered Bank Group with responsibility for Project Finance, Structured Trade Finance & Financial Solutions, Mergers & Acquisitions as well as Shipping & Aircraft Finance. Leke has about 30 years experience covering Banking Operations, Corporate & Investment Banking, Energy Banking, Capital Markets, Project Finance as well as Financial Advisory Services. He has been involved in a number of private and public capital market issues, mergers & acquisitions and a number of Project Finance exercises for major corporate and energy transactions. His financial services experience covers telecommunications, upstream oil & gas projects, downstream energy, infrastructure development finance, petrochemicals as well as power projects. Other experience includes roles in UBA Group as the Group Director - Energy & Structured Finance, MD - UBA Capital, Group Director – International Banking and Head of Corporate Banking for UBA Plc. Prior to this, he served as Head of Corporate Finance Department, Manufacturers Merchant Bank Ltd (now Fidelity Bank) and with NAL Merchant Bank Limited (Nigeria’s premier Investment Bank) in the Corporate Finance and International Operations Departments. Leke holds a first and second degree in Economics and Business Administration respectively. He is a member of the Institute of Directors (IOD) and Honorary Member, Chartered Institute of Bankers of Nigeria. He is currently the Executive Director, Global Banking, with responsibility for Financial Markets, Financial Institutions, International Corporates, Corporate Finance and Transaction Banking. Mobola Faloye is the Chief Risk Officer and Head, Operational Risk, for West Africa. She is also the Country Chief Risk Officer for Nigeria and sits on the Board of Standard Chartered Bank Nigeria Limited as Executive Director, Risk. She joined the Bank in May 2015. Mobola serves as a strategic enabler for the achievement of SCB’s business objectives; utilising qualitative and quantitative engines to optimise the risk/reward balance without compromising the Bank’s integrity and core standards. Mobola has over 25 years’ proven management expertise and brings a wealth of experience to the banking and asset/fund management sectors. She has worked for various local and international financial institutions in dynamic Transaction Management and Risk Management roles. Prior to joining the Bank, she was the Chief Risk Officer & Head Enterprise-wide Risk Management Division of Guaranty Trust Bank, Nigeria – managing the implementation of an enterprise-wide risk management framework and putting in place infrastructure, policies, procedures, systems and awareness platforms. Some of her previous roles also include Associate Director, Credit Risk Management at Swiss Banking Corporation (now UBS AG), Senior Operational Risk Manager, Citibank UK and Global Head of Derivatives Documentation, Aberdeen Asset Management plc. Mobola has been a Panellist and Speaker at various risk management conferences, is a member of both the Institute of Risk Management (UK) and the Risk Management Association of Nigeria, and runs risk management seminars for the Lagos Business School. She is also an Honorary Senior Member of the Chartered Institute of Bankers of Nigeria. In addition to her Bachelor’s and Post Graduate, she is an alumna of the Lagos Business School. Mobola speaks French and is an avid Music aficionado. Dayo Omolokun is the Executive Director and Chief Financial Officer, responsible for leading the Finance function in Nigeria. As an organisational leader and key member of senior management, he balances the responsibilities of stewardship with business partnership; constantly improving shareholder value through strategy execution and business risks mitigation. He also manages investor and key regulatory relationships. Dayo is a seasoned finance and banking professional with over two decades of multi-functional and international experience in Africa, Middle East and UK markets. In his immediate past role as Director of Financial Integration and Change Management at Atlas Mara, Dayo managed aspects of the organisation’s strategy to achieve growth through mergers and acquisitions. Prior to this, he worked for Standard Chartered in various roles in Nigeria, UK, Botswana and Ghana, during which he made specific contributions to the growth of the business as Country Chief Financial Officer and executed a global acquisition and integration project at the Group Head Office. He has also been an Independent Consultant to African Development Bank on Non-Sovereign Operations (private sector investments). He trained with Arthur Andersen Nigeria (now KPMG Professional Services) rising to the position of Audit and Business Advisory Manager. Dayo earned an Executive MBA from Cass Business School, City, University of London (UK), and holds a Bachelor’s degree in Chemical Engineering from Obafemi Awolowo University, Ile-Ife (Nigeria). He possesses chartered accounting and tax qualifications. He is married with children. Sola is the Head of Legal and the Company Secretary for Nigeria. She also double hats as the Head of Legal, West Africa. Sola has over 18 years of legal experience and has spent the majority of her legal career within the banking industry. She has worked with various international and local financial institutions including Old Mutual Nigeria, Standard Chartered Bank, and Ecobank Nigeria Limited. In her most recent appointment with Old Mutual Nigeria, Sola led the Legal, Compliance, and Company Secretarial teams. Sola previously worked for Standard Chartered Bank for over five years from 2009 to 2014. She is a member of the Chartered Institute of Secretaries and Administrators in Nigeria and a qualified Barrister at Law, having studied at The Nigeria Law School and The University of London, Queen Mary College in the United Kingdom.